The Philippines Department of Tourism (PDOT) launched “Bring Home A Friend” (BHAF) programme, to encourage all Filipinos residing in the Philippines and abroad to help promote Philippines to their foreign friends as their next holiday destination. The program will run for six months starting from October 15, 2017 until April 15, 2018. 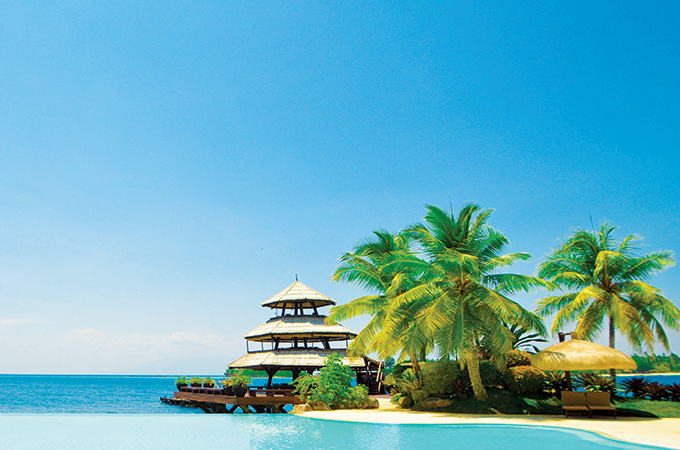 The Philippines has seen consistent growth in tourist arrivals from the Middle East. In 2016, the Philippines received a total of 83,546 tourists from the region, growing by 9.69 per cent over 2015. Tourist arrivals from Saudi Arabia and UAE, the two largest markets out of the region for the Philippines, reached 50,884 and 16,881 respectively. The PDOT aims to achieve 7 million tourists by the end of 2017 and proactively developing strategic partnerships with key stakeholders in the Middle East to capture a sizeable percentage of its high-yield tourist market. “We would like to close the year strongly for the tourism industry in terms of visitor arrivals and carry the momentum into the coming year,” said DOT secretary Wanda Tulfo-Teo. Teo decided to revive the BHAF program implemented in 1994 by DOT under former Secretary Mina Gabor to encourage Filipinos to invite their foreign friends to come and visit the Philippines. The Filipino sponsors, who either reside in the country or overseas, stand to win an array of prizes. “This shall be a thrilling experience for us Filipinos, who are known for our genuine hospitality and for celebrating Christmas for the longest time,” said Teo. Major prizes awaiting the sponsors include a condominium from Megaworld Corporation, a brand new Toyota Vios, and a $3,890 gift certificate at Duty-Free Philippines while their foreign guests can win round-trip international flight tickets and tour packages to Palawan, Cebu, and Davao. To join, the sponsor must duly register via the Bring Home a Friend webpage accessible via DOT’s website tourism.gov.ph. Registration may also be accomplished at BHAF booths soon to be set up at selected international airports in the Philippines. The number of eligible entries will also depend on the points they earn corresponding to the guest’s country of origin: Asia and Oceania/Australia: 2; Africa, Middle East, Europe, and America: 3. Conversely, the more foreign friends the sponsors invite, the more entries they can submit. Based on the 2015 report of the Department of Foreign Affairs, there are two million Filipinos based in the Middle East.